Relate: Did you ever see Bruce Almighty? Bruce Nolan (aka Jim Carey) was a fairly popular, successful guy who was still discontented. In spite of his good job and beautiful girlfriend he complained and complained. Finally, after one of those particularly horrible days we all seem to have from time to time, he begins this huge rant about how cruel and unfair God is. In the middle of the rant God shows up looking an awful lot like Morgan Freeman. God gives Bruce the opportunity to do His job, only for a short while and only in the city of Buffalo, since Bruce is so convinced he can do a it better. Disaster ensues. Bruce has this great notion that he’s going to grant everyone’s prayer for the day. In a matter of hours anger, discontent, riots and havoc are rampant throughout the city. React: Jesus knew God always heard Him and, because He constantly was spending time with the Father, He also knew the perfect will of God. I am often not spending nearly the time with God in prayer that I should be. Because of this and my fallen nature, it is often hard for me to distinguish between my own desires and the will of the Father. Since my understanding of God’s will is often clouded, the potential to doubt at some level whether God is truly hearing my prayers is there. Make no mistake, God always hears. The disconnect is all at my end. Because of my sin, both of commission and omission, I’m not hearing Him right. I’m not in His will. My own stupidity (which I often mistake as reasoned thought) keeps me from understanding what is best for me. God has not failed. I have. God is not deaf. I am. Still, like Bruce Nolan, I am oh so quick to give Him the blame. Let me say it again and hopefully it will sink deep into my soul. He always hears. I respect your views you are entitled to. No further comments. Thanks, BJ, for noticing my latest. I read yours as I can; you’ve got a solid ministry. Your title, “You always hear”–that truth is so profound. 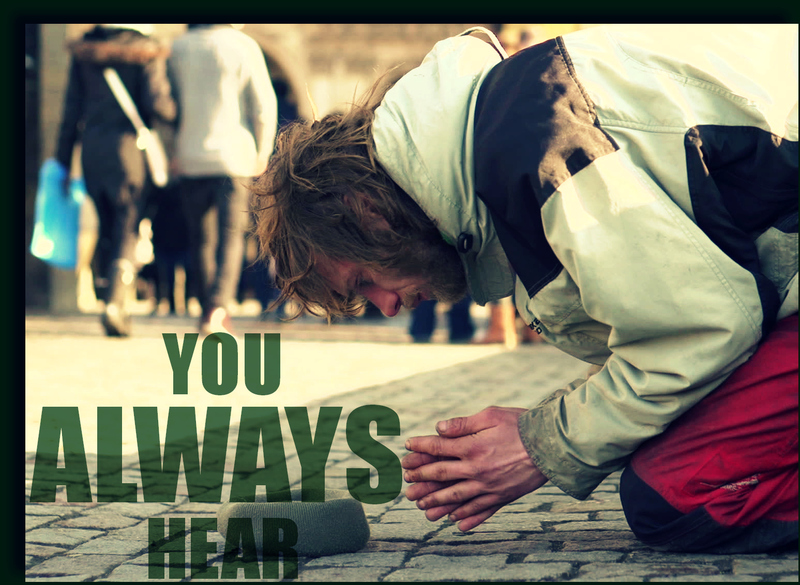 At times we think that he does not hear us. I feel that way now. Like he has forgotten me. I know it is stupid to think that. But it shakes my faith a little. I ask why he is not listening. I’ve found for me that the times I feel He does not hear me is actually because I am not hearing Him. There’s too much noise in my life. I’ve found that if I remove some of those other voices, if I take away their distractions, I begin to hear again that truth that He has been there all along. Perhaps there are some things in your life that need to be put aside for a while so that you can hear His voice. Good insight, BJ. That’s my problem–the noise and diversions in my life. Another thing to consider, Tonia, is that we expect God to respond in accordance with our timing. If “he’s got the whole world in his hands,” he’s probably working out some response to our prayers that may take a little more time, but at the same time, be a magnificent blessing to great numbers of people we’ve probably never heard of. 😊👍👌I have more problems in the other direction., such as … I know that I know You heard me and its making me mad You wont answer this right now or how I want it to be answered 😂 forever the child one way or the other. Great read T.Y. Ironically, Bruce Almighty is good apologetics. There was a deleted scene containing some prayers that Bruce answered that, if they’d gone unanswered, would have led to even greater things. You have the issue of many prayers conflicting (how is God supposed to sort out prayers for a lottery win when we ourselves have mandated only a finite pot, or a football game where we mandate only one winner?). And finally, in the end, you do see God answering a terrific prayer, though one that’s heartfelt and selfless. After all this, we say this: Where are you? Thanks for hearing me. Wow ! I love the illustration of Bruce Almighty. And the fact the disconnect truly is on our end to try to comprehend the will of God. He is always faithful and always hears. Thanks for the reminder.